Chocolate, peanuts, and coffee are a few of my favorite things! If you love chocolate, coffee, and nuts as much as my family, then you are going to love Superior Nut Company! Superior Nut Company offers a wide variety of beautiful Gift Boxes, Gift Towers and Nut Gift Baskets, a delicious treat that's good for every occasion. I love that they have a huge selection, my only issue was being able to make a decision on which item to purchase! I wanted so many items, they all looked so tasty! Both of these items combine two of our favorite things! It doesn't get any better than that. Just about anything covered in chocolate tastes better! You can choose between a large variety of nuts, fruits, cakes, pies, and so much more. Order a little, or purchase in bulk! Browse their specials for even greater savings. I prefer the items that include free shipping, making my money stretch even further! Over 40 of their items ship for free. The check-out process was quick and easy, shipping was very prompt! The items come beautifully wrapped and perfect for gift-giving! The taste? Mouth-watering and delicious! Superior Nut Company still roasts their specialty nuts the old fashioned way, in small batches in Cambridge, Massachusetts. In fact, they have been offering high quality nuts since 1929, that's over 82 years. This giveaway will end December 6th at Midnight EST. 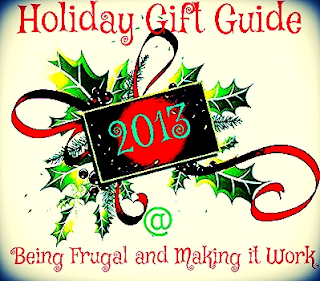 Disclaimer: The Being Frugal and Making it Work family received complimentary product for the purpose of writing a review and hosting a giveaway. Regardless, I only recommend products or services I would use personally and/or believe will be a good fit for my readers. The views and opinions expressed on this blog are based purely by our own experiences. No monetary compensation was received. Results may vary. I'd get the 20oz Giant Whole Cashews Gift Tin. The dried blueberries would be tasty for salads, trail mix, muffins and baking desserts and breads too. Thank you! I would totally order the chocolate covered coffee beans or peanut clusters!! YUM-O!! My girls LOVE chocolate covered almonds too! I think I would choose the 20 oz. Giant Size Cashew Gift Tin. I'm addicted to Cashews. 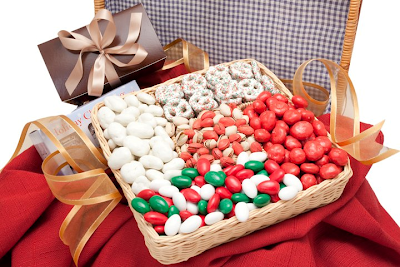 Visited the site and I particularly like Christmas Tree Pretzels (1 Pound Bag) because they are very festive! If I win, I might choose the 10oz Dark Chocolate Covered Cashews. Thank you for the review and giveaway! The 20oz Giant Whole Cashews Gift Tin looks tasty or any of the cashews for that matter. I would like to buy organic chia seeds or raw organic cashews. Great selection of organic grains too. I would buy the cashews gift tin. I love them year round, but especially like them in cashew brittle at Christmas. I went to their site and I also would love to try their glazed appricots. I would love to win the nuts for my dad for Christmas. I would love the Unsalted Marcona Almonds 1 Pound Bag. I would love the glazed dried apricots as they look really juicy and sweet to snack on anytime for some quick energy and a delicious treat to enjoy! I would start with the Milk Chocolate Cashews Gourmet Tray! I would also like the White Christmas Pretzels (14 oz Bag). I'd love to try the Turkish Pistachio Tray! My husband absolutely loves pistachios and I do too! If I won, I would probably choose between the 6-Section Chocolate Lovers Gourmet Tray or the 6-Section Cashew Assortment Gift Tray as a gift for my mom. I would love to have some kind of pecan turtle, and some chocolate covered cherries for the hubby. Maybe some pistachios or cashews. Too many choices! Since my whole family loves to snack on cashews, I would probably choose the 20 oz. Giant Size Cashew Gift Tin. Since we are going to visit family for the holidays I think I would get the Golden Raspberry Coffee Cake to take with us. Definitely would splurge on both the 20 ounce Giant Size Cashew Tin and the tray of Glazed Gourmet Apricots to bring to my family Christmas party for all to partake and enjoy for the holiday season! if I won I would get the milk chocolate covered pistacios, because who doesn't love chocolate covered anything!!!! I love nuts of all kinds. Especially chocolate covered nuts, but I think I would choose the Turkish Pistachios. The Banana Walnut Coffee Cake is one that sure looks good. And all the nut, how do you choose, they all look so yummy. This is an easy choice for me. I would choose the Mammoth Pecans from Superior Nuts. The dark chocolate covered pecans are my absolute favorite! The Dark Chocolate Covered Macadamias looks tasty!